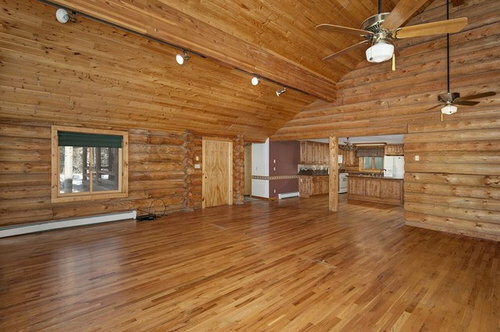 Hi, We just bought an older log cabin and are in the process of updating it. I need help furnishing and decorating the living room and the bedrooms. 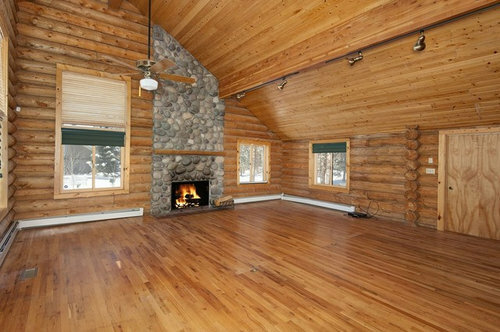 I feel like there is too much wood in the whole house (the log walls, wood ceiling and the oak floor is almost in every room). 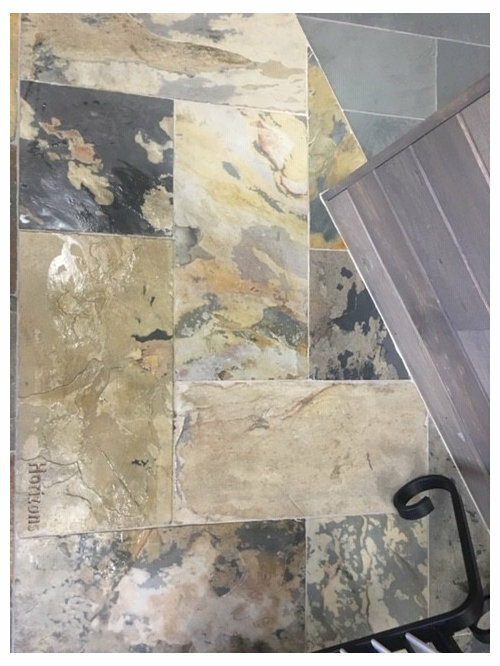 I picked a Petra Slate Horizon tile (see in the picture) to cool down the orange color of wood. I was planning to tile the kitchen and the sun room with the Horizon tile. 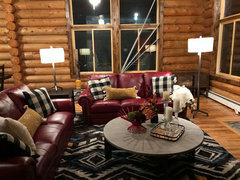 I do not know what colors and accessories to bring to this log cabin so it has a cozy mountain feel, but at the same time is a little bit modern. 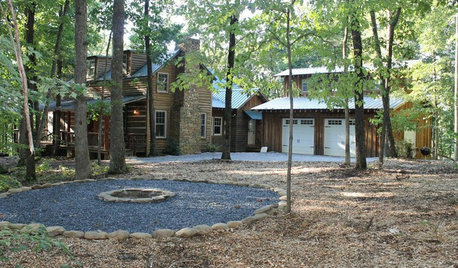 I guess i am looking for a modern/lodge style if it exists. Any help and advise from professionals is very appreciated. Please see the pictures. Thank you! I am very happy with all my purchases and relieved that the "pillow fight" is behind us. 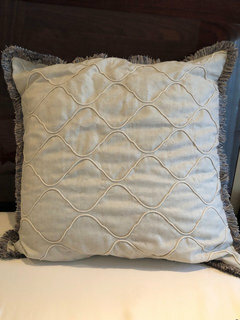 Can't wait for all the pillows to come! I only have one antler lamp. 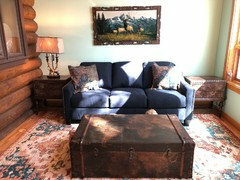 I will set up the SR with the all the furniture (sofa, Lex tables, rug, trunk table, and antler lamp) this weekend and see how everything is looking together. I will probably order the second lamp over the weekend. I will also think about re-coating Lex tables to make them a darker color like your friend have suggested. I just need to spend more time researching how to do it or find the right professional who would do it for me. Thanks for rearranging my new Art IB. Again, I am happy with what I purchased so far but I don't see many (any) viable options for SR, kitchen or DR walls in the my IB. I will keep working on that. Thanks Kjoy! This is cute! It think the width will be good but not sure if 24"H won't be too short. I will blue these pictures on Saturday. I think the size will be good. I like the style. My only concern is that it may be a bit dark against the dark table but if you are mindful to keep the decor mainly light or colorful I think it could be a nice centerpiece while giving you a lot of options to decorate. I sketched it to give you a visual. Thank you for the sketch. I did not think about it, but do I need a runner on the table? I am going to C&B to pick up the tray and could look at the runners if I need one. When I mentioned "decor" I was referring to what you put into it needs to be light or colorful. 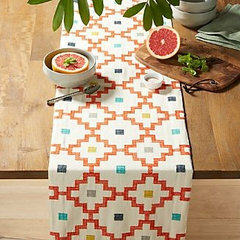 Table runner..hmm. I guess if you left it on there when it is rented out, it might help that people will be more considerate of the table and will think a bit about what and where they put stuff down on it. 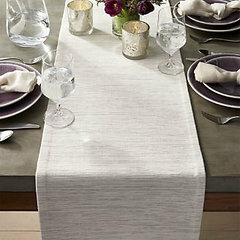 Do you have placemats and will you have a place to store them easily for the renters to find them? 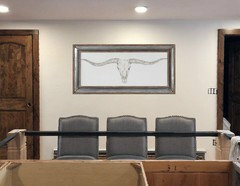 I have a 13ft W x 8ft H wall going from LR to the bedrooms and was thinking about a long piece of art there. 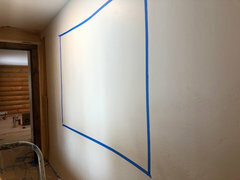 The blue taped area is 6'W x 4.5'H. There is a window across this wall. 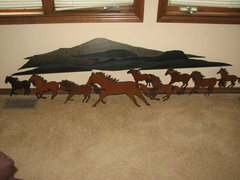 I like the metal horses a lot and I could frame them in alder frame and paint the frame in one of the rug colors. Thank you Hu for your kind words. 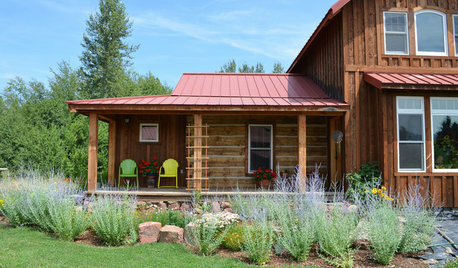 They are appreciated and I, too, can't wait to see the final results of the cabin but will be sad when it is done as I have had a lot of joy working with Ligita and helping her make her cabin a home. Thank you everyone for your ideas and support! I had so much fun decorating this house and am so happy with all the progress we've made. 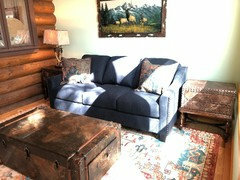 We will be assembling the furniture this weekend and I will post more photos. style to a total perfection! I learned so much from you and can't thank you enough for everything you did! I did not buy the black center piece at C&B. It was too big, too heavy, too expensive ($165 with tax). I would need to spend another $100 to fill it up with candles or other decor. Also, I don't want to pay about $200 for 2 hurricanes for the island form BL. Do we have a cheaper option for the island decor? 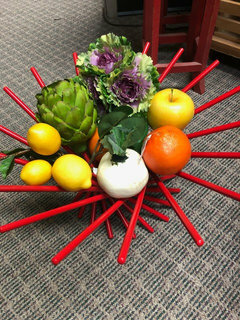 What about just having my fruit bowl and maybe fresh flowers? You can try the red bowl on the island. My only concern is that the red may clash with the orange in the perimeter counter top but since the bowl isn't sitting directly on it it may be fine. I'd start there and then if we need to go in a different direction we can. 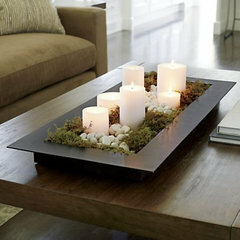 Have you looked recently at TJ Maxx or Home Goods for candle sticks/hurricane or a vessel of some sort for the DR table? Looks like Hobby Lobby has a sale on the fake fruits & vegetables right now. Don't forget that you have those 2 domed pieces that might also work on the island. Thank you. I forgot about my domed pieces. I will use them on the kitchen island with the red bowl. Are you still planning to surprise me with the faux fur blanket and pillows for MB? 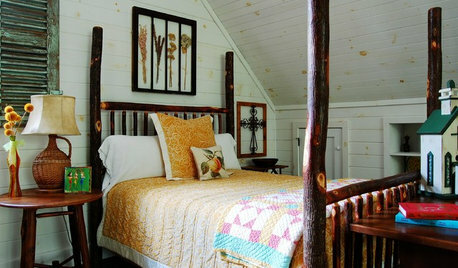 I purchased this exact set with the yellow quilt. As far as the pillows on the bed. Are you thinking of doing exactly what the photo shows? 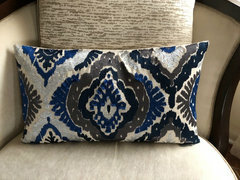 Are you thinking of using that one pillow that keeps showing up in your photos. Oh yes- the "will work with everything" thought. And then it doesn't! I think we should wait til you get the bed made and see if we need to do anything. 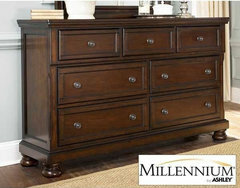 I was thinking about the MB dresser. Do you know if this dresser is still available? Sorry for the poor photo as I didn't see it on it's own in your IB. No, this dresser is not available. 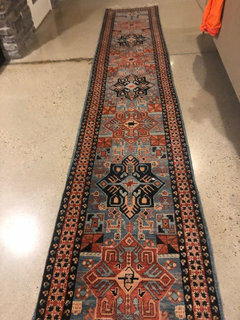 I contacted the seller multiple times but they never responded. 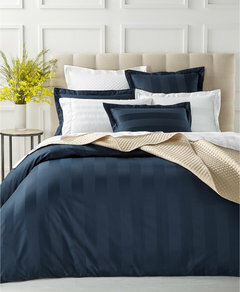 I will set up my bed with the navy bedding tonight and see what else we are missing. I thought that the bed was called Somerset. It is still available on EA website but I do not want to pay EA prices. Oh, I'll have to go look. Either way, you still scored :)! I relooked at the one on Charish. I think they made a mistake as it looks like your Somerset. Thanks for letting me know as it helps in my search. This was our emergency option from AFW. DO you still like it? I am sorry, but I changed my mind on the GB dresser. 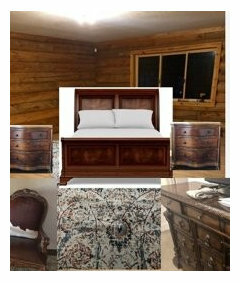 I never blue taped it in the room but I think that it might be too big with 2 queen beds and 2 sliding barn doors behind it. I decided to set up the beds first and see how much space I have left for a dresser. I think, I'd prefer to have a smaller table to put the TV on and not the full size dresser in GB. 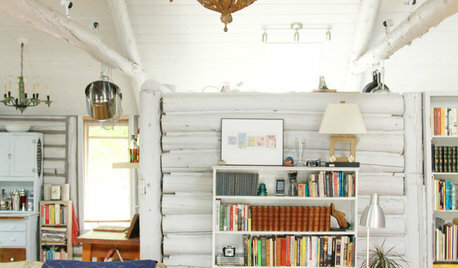 If I have enough space and can buy the white dresser the same day. Do you know if it is on the showroom floor? If so, you could take a drawer from the night stand and see if the stains compliment each other. It's not bad and better than others you have recently show though it is still a bit casual. I just ate a whole sleeve of Mint Girl Scout cookies in 15 min.. thanks Girl Scouts for not making me feel guilty for eating them since my purchase of 5 boxes were going for a good cause. But dang, it is way too easy to eat a whole sleeve. And I don't think I'm the only one that does this in one sitting? I think you are doing the right thing of waiting on the GB dresser until you get the beds in there. Especially since you aren't sure of it fitting. Am I right to guess that the closet is a walk-in with some shelving so a dresser isn't really needed? Yes, there is a walk in closet with shelving but I still need a little table for the TV. 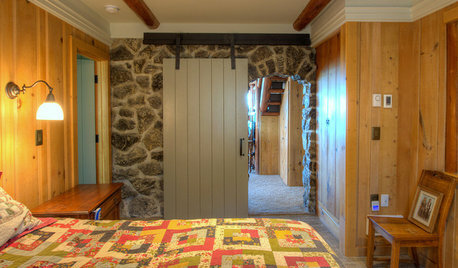 It can not be on the wall because of the sliding barn doors. Do not worry, you are no the only one who can eat the whole sleeve of the mint cookies. We used to eat bags, not just sleeves per day in the office. Mint and the coconut are my favorites! 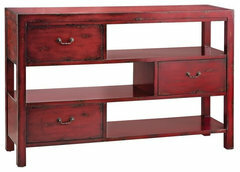 What do you think about something like this for GB TV table for not so "matchy matchy" look? Now you are thinking like a decorator. Much more interesting than matchy, matchy. I'm on board with this line of thinking for the GB. 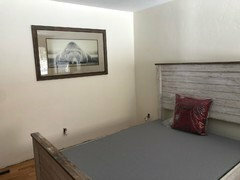 And I like this piece as it has has some drawers to it and has that "rustic" feel to it like the beds. LR - So excited to see how everything is coming together!!! Thank you!!! 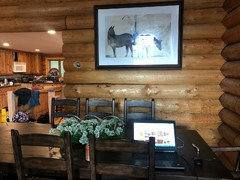 I will lower the horse painting when I am by myself. I had my mother in law telling me where to hang it and I didn't want to argue with her too much. It was even higher and I made them lower by one log. I still have two blank kitchen walls. Any ideas what I need to do here? Horse and bear put somewhere? 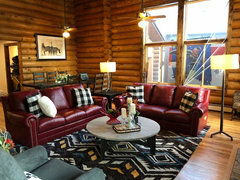 I particularly like the gold pillows with the buffalo plaid. And, everything else looks great too! 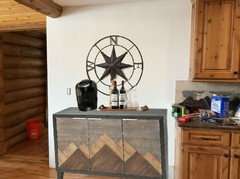 Saw this dresser in your ideabook...don’t know the dimensions but think it could look good in the kitchen as well...mimics the backsplash. The size of the moose painting fits perfectly in the LR. I was thinking to buy it and see how it looks in the house. 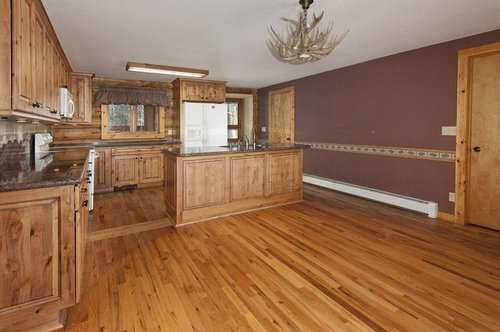 I don't know what I want to do with the empty kitchen wall. 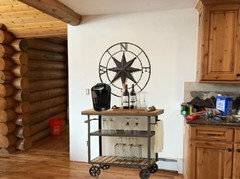 I like how the bar cart looks in there but I am not sure if I want to give this option to the renters to drive around the house with the drink cart. 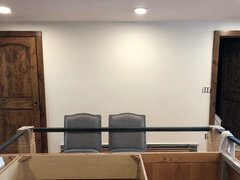 Also, I don't know if this would be a good space for a desk, but I would like to have some work/office area to set up my laptop instead of working at the dining table. Ok. No worries. 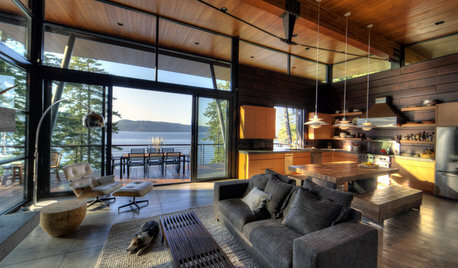 Just throwing out ideas at you:) I will continue to ponder that kitchen wall. I think the moose is definitely worth trying. I am working on M bedding, bath rugs and towels right now. I do not like the yellow quilt for M bedding i have. 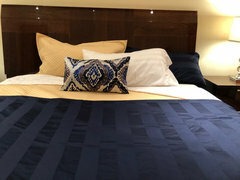 I ordered new quilts in ivory/beige colors from Macy's to see if they might work better with the navy duvet cover and pillow cases. 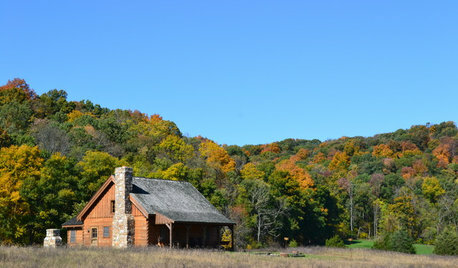 Please post all your ideas for any part of the house as they are very helpful to me. Ted is on vacation and I need as much guidance as possible with the final details from all of you! Thank you! This is my current color combination for M bed. 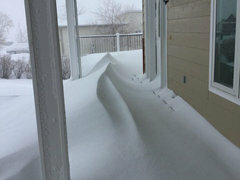 Kjoy - same happening in CO. I guess we both got hit by the same snow storm. 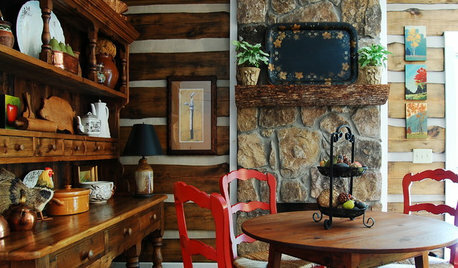 RUSTIC STYLEGet Your Rustic On for Log Cabin Day! 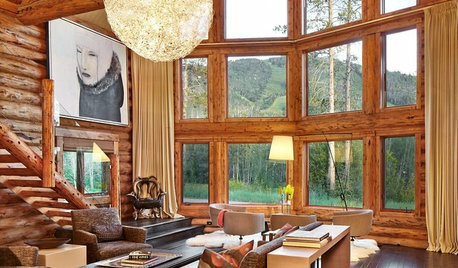 Celebrate rugged good looks and simpler times with a gallery of 10 gorgeous log cabins across the U.S. 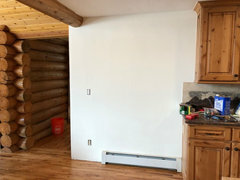 I need help furnishing and decorating this small cabin. 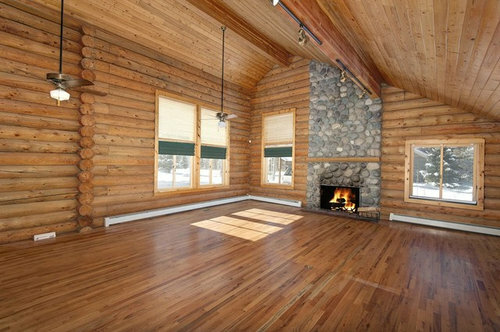 How to paint interior walls of log cabin white? 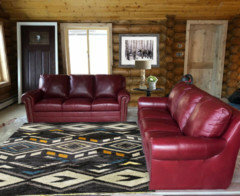 which fabric looks best with area rug?